His stance is very defiant, almost as if he is saying I'm not going anywhere, so there! What a great photo of Merlin! The clusters are fabulous and the butterfly charms are such a nice touch! Great color choices! Such a beautiful kitty!!! So glad he's doing well!! Beautiful clusters! Talk about King of his jungle! 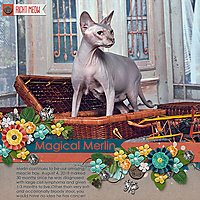 I certainly wouldn't want to take Magical Merlin on in a cat fight (sorry, couldn't stop myself). Your extraction is magical as well and the background is the perfect pairing. 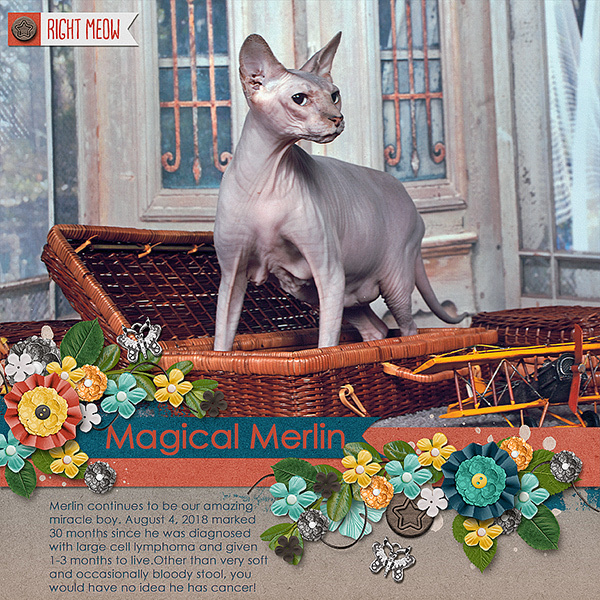 Your clusters are stunning a and you picked the purr-fect place for your journaling. He really is magical. It is great to see him looking so well and holding on so well. You are blessed to have him and he is blessed to have you.